Blended finance has a long track record of supporting financial inclusion, the effort to provide universal access to affordable financial products and services. As one of the most mature blended finance markets, financial inclusion could serve as an important test case for blended finance. It is now time to consider whether blended finance has been used to effectively build inclusive markets and if the amount of concessional capital required decreases over time as the market ‘graduates’ and can attract traditional sources of finance. The Convergence database includes more than 75 blended finance deals that seek, in part or full, to bolster access to financial services in developing countries. These deals have provided financing – and often technical assistance – to microfinance institutions (MFIs) and commercial banks, as well as some alternative finance service providers (e.g., mobile network operators, pay-as-you-go (PAYGO) energy), to extend the reach of financial markets to those most in need. 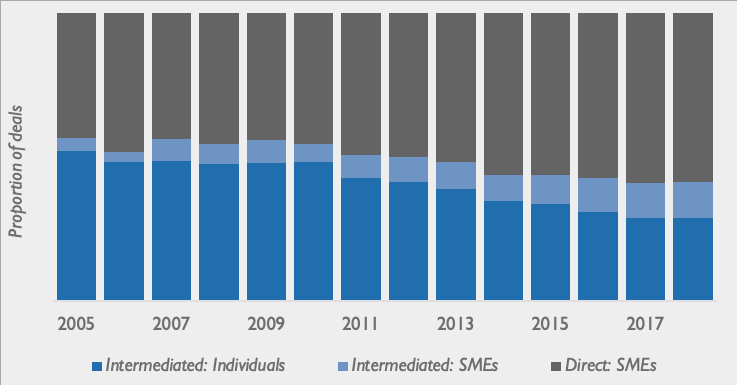 Blended finance for financial inclusion has been primarily made up of blended finance funds (47%) targeting financial institutions in Sub-Saharan Africa (42%) and Latin America and the Caribbean (32%). Blended finance has been successfully used to improve the risk-return profile of deals to attract private investors and to build the pipeline of investment opportunities. Over time, the maturity and track record of the sector has attracted more private sector investors, particularly through blended microfinance investment vehicles (MIVs) (e.g., debt funds) that deploy concessional development capital to mobilize commercial capital. Indeed, the top commercial investors in blended finance deals for financial inclusion have included a diverse set of private sector organizations, including asset managers (e.g., responsAbility), commercial banks (e.g., Deutsche Bank), and pension funds (e.g., ACV-CSC Metea). As the financial services sector in developing countries matures, it is important that blended finance practitioners continue to focus on long-term sustainability. Impact investors and DFIs / MDBs represent a growing proportion of investments in blended finance deals for financial inclusion, while the proportion of private and philanthropic capital is declining. The decline in philanthropic capital (i.e., catalytic capital), in particular, could signal that the market is ‘graduating’ to where domestic intermediaries are attracting traditional sources of finance. As blended finance is used to build financially inclusive markets, practitioners should strive to reduce the amount of concessional capital required over time as the market ‘graduates’. 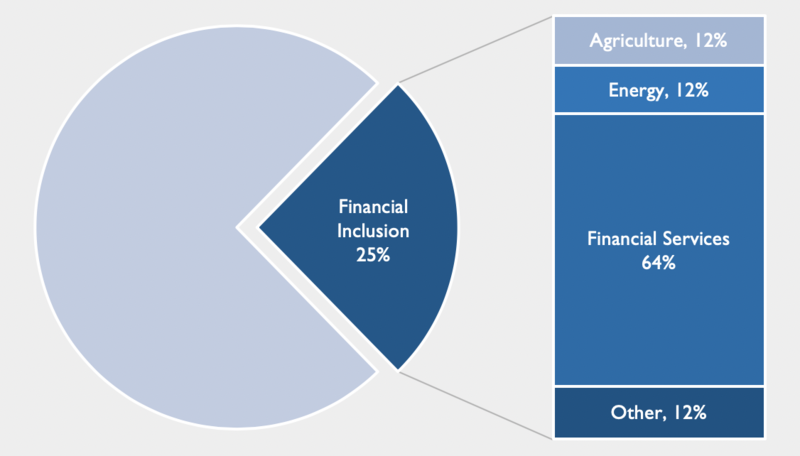 The majority (~70%) of blended finance deals for financial inclusion have provided financing to domestic banks or local MFIs for on-lending to target populations (e.g., smallholder farmers, women, SMEs). However, the proportion of these deals has been declining over time, while the proportion of blended finance for direct lending and venture capital has been increasing. Direct lending and venture capital – or more specifically, greater access to equity and quasi-equity capital – can be important sources of early-stage growth capital for entrepreneurs and SMEs. However, blended finance remains a high-potential tool for supporting the domestic banking sector to promote economic growth and resilience (e.g., reduced foreign exchange risk, reduced reliance on international capital markets). Given blended finance’s successful track record of mobilizing commercial investment for financial inclusion in developing countries, financial inclusion practitioners that deploy blended finance approaches should focus on (i) scaling existing approaches and solutions and (2) deploying concessional capital to those countries, populations, or specialized areas that are still not able to attract commercial capital at scale. CGAP identifies agricultural finance and FinTech (i.e., the use of technology and technology-enabled innovative business models in financial services) as two areas where blended finance solutions could still be impactful. This Brief is part of our data-driven series for our members that is focused on blended finance benchmarks. 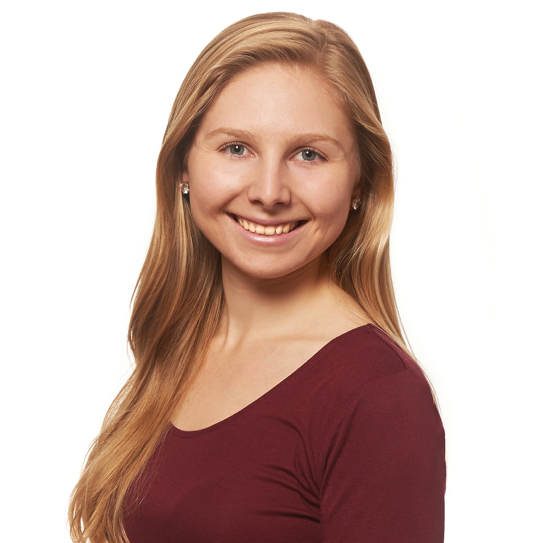 Each month, Convergence will publish a Data Brief to promote the sharing of actionable data and learning among the blended finance community. Our next Brief will focus on the use of technical assistance (TA) alongside investment structures.